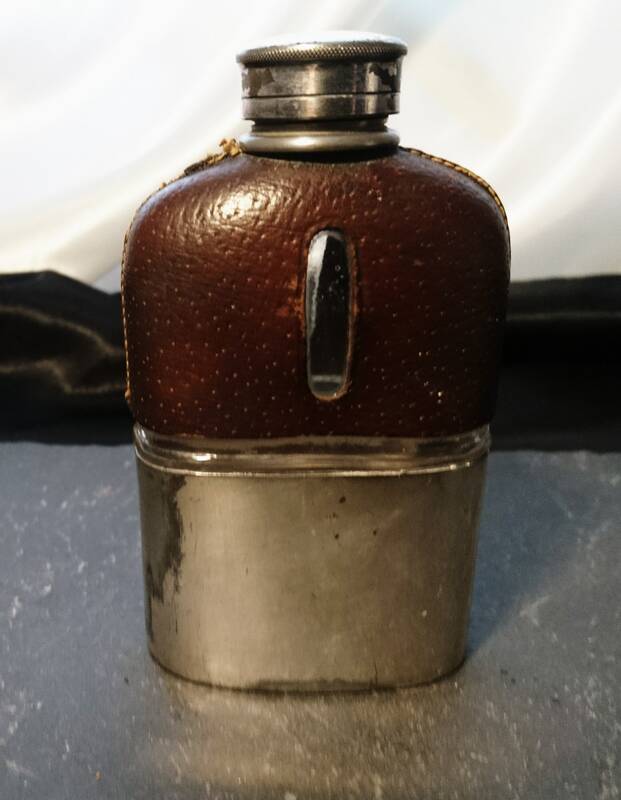 A charming Victorian half plated and half leather covered hip flask. 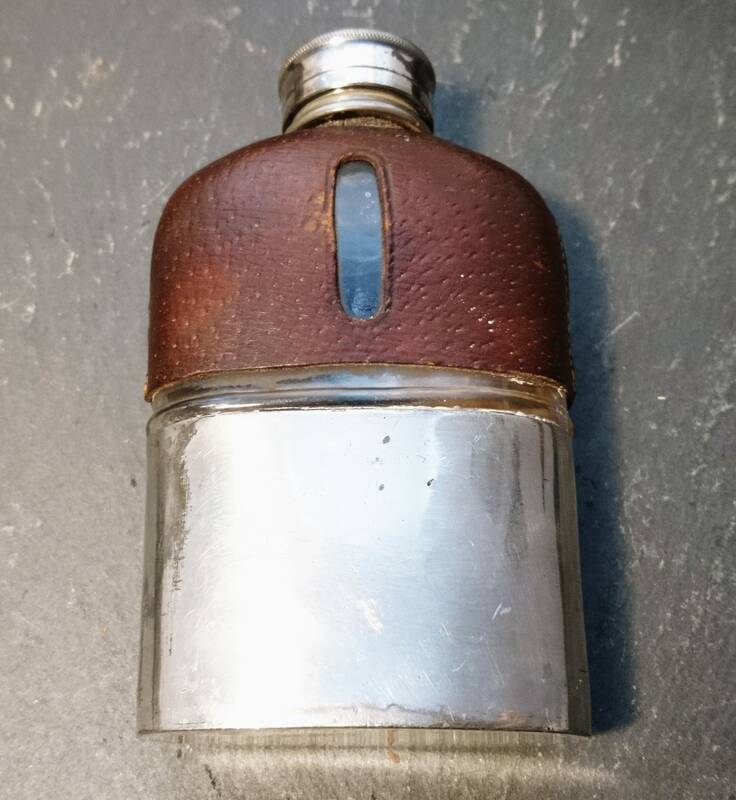 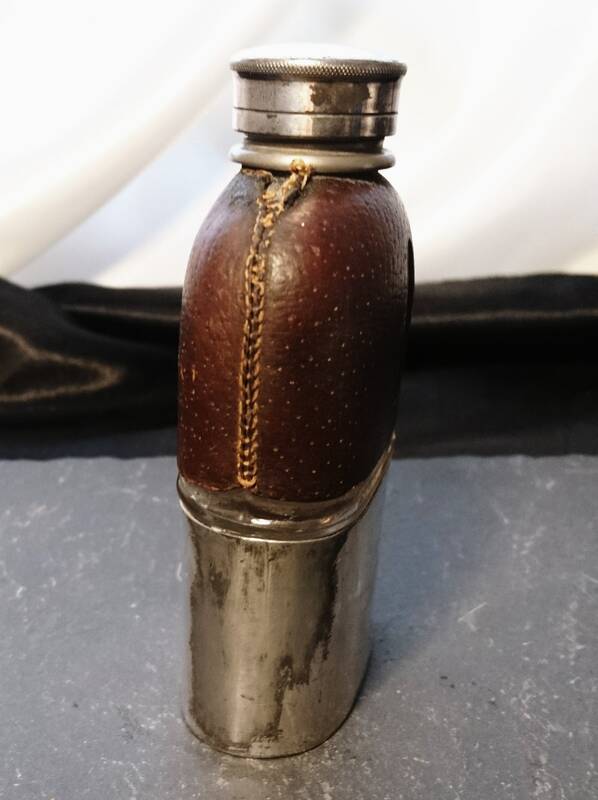 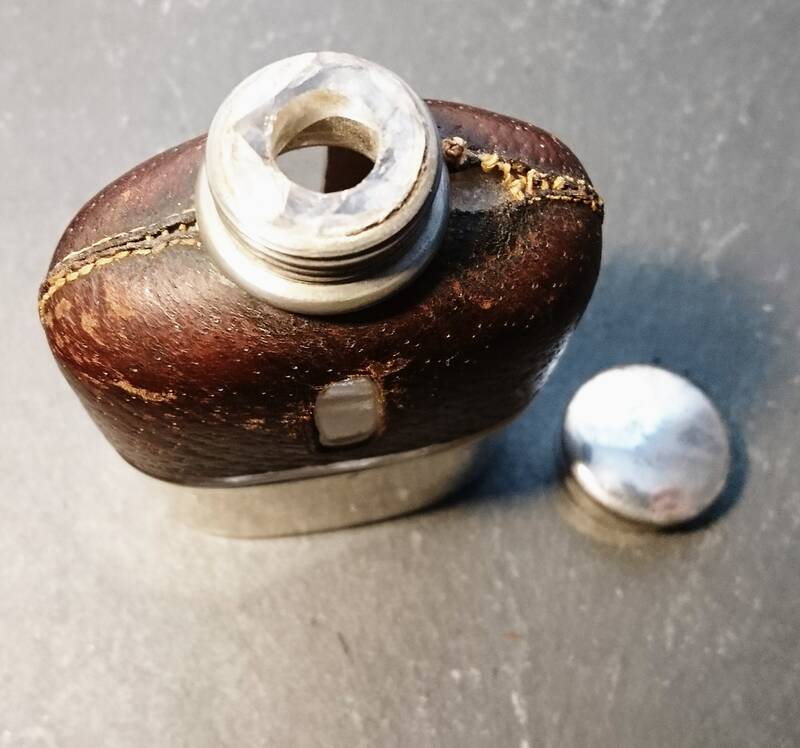 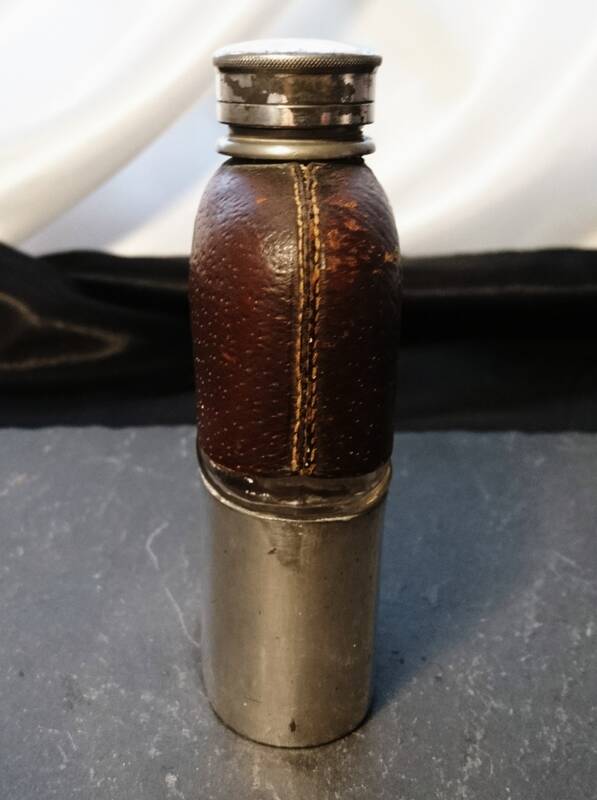 It has a glass insert cased in the unmarked silver plate with a natural brown leather jacket with a cut out hole to see inside. 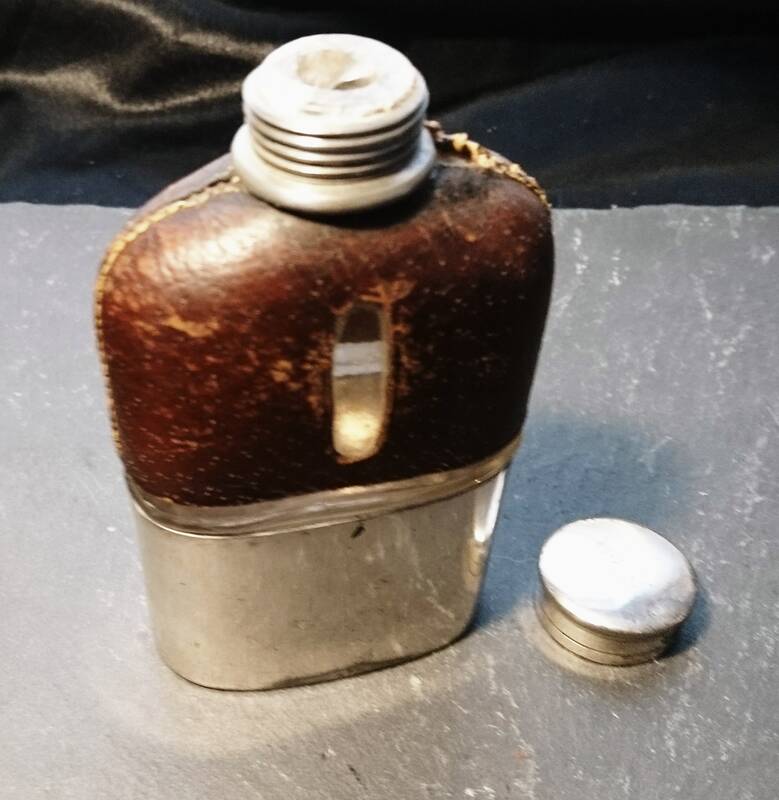 The screw top lid is also plated and it opens and closes well. 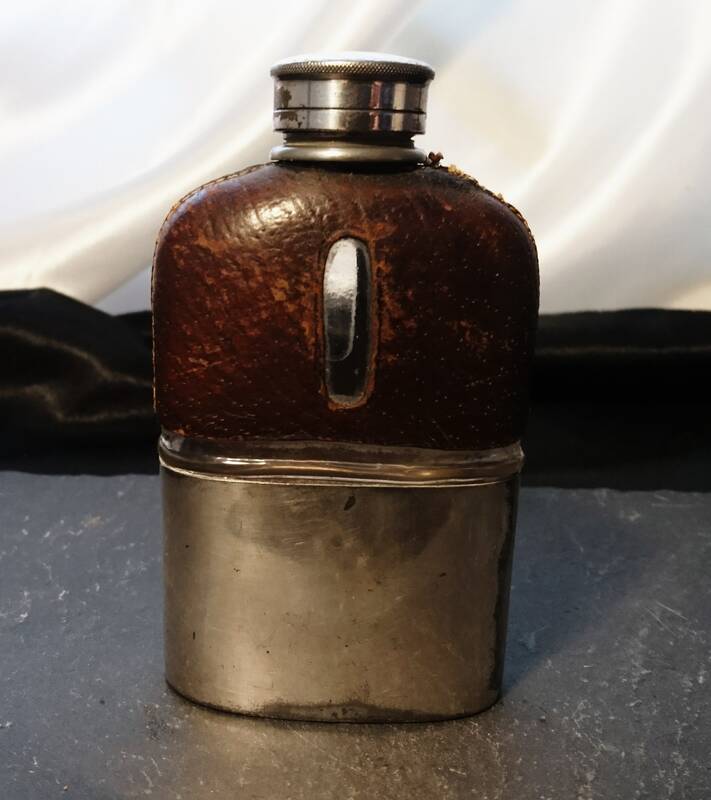 It is in good antique condition, there are some cracks near the opening but not on the surface and the leather is opening on one shoulder but this could easily be fixed. 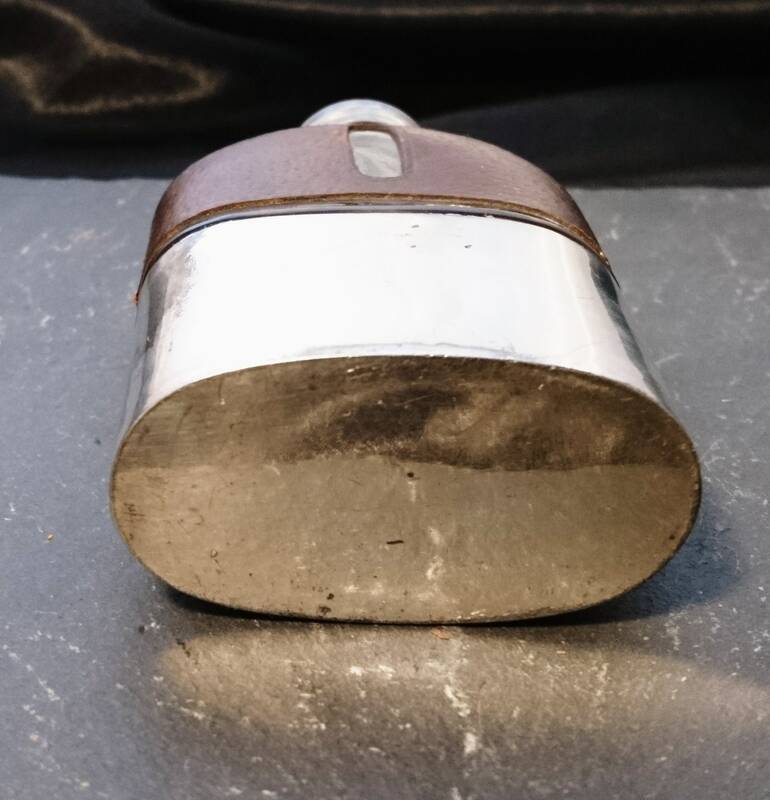 It holds its liquid and has plenty of character and charm, high quality old Sheffield plate.